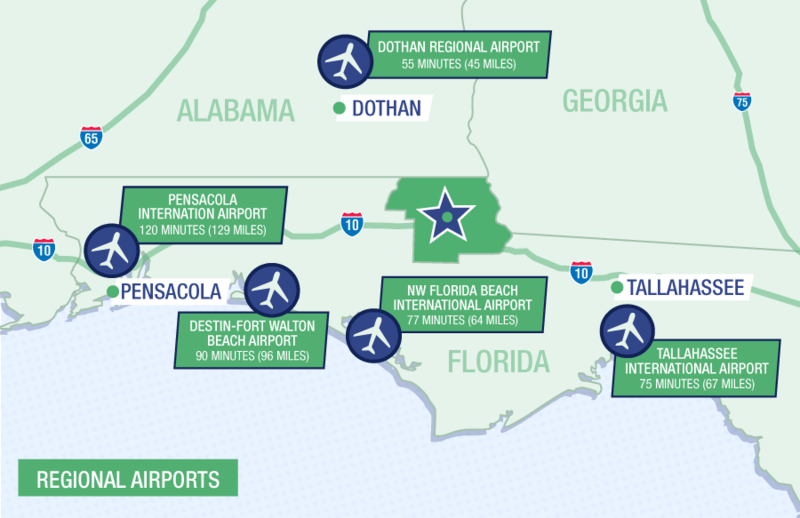 Additionally, a municipal airport with two 5,000 foot runways is located in Marianna and offers charter jet and private aircraft service. I-10 runs through Jackson County giving us easy access to the East and West. Access North is through U.S. 231 connecting with I-65. Jackson County is served by the CSX Railroad. 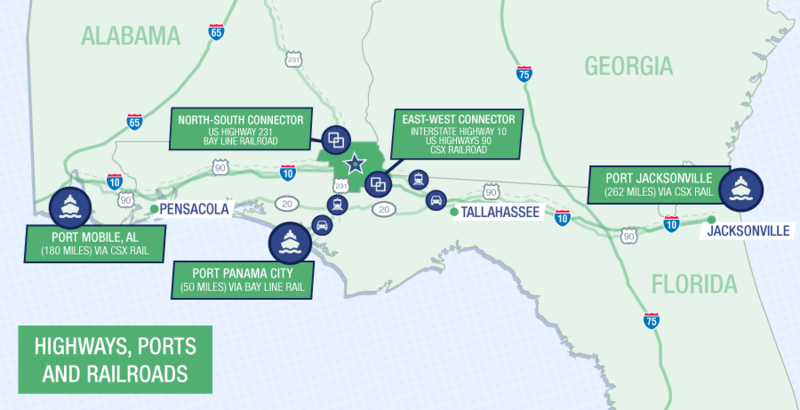 The Bay Line Railroad gives us access to the Gulf of Mexico and the Port of Panama City, 50 miles to the south. The Mobile, Alabama Port is 180 miles West and the Port of Jacksonville is 262 miles to the East, both connected by I-10 and CSX Railroad. Jackson County has full availability of UPS, FedEx and other major package carriers, along with all major truck-load and less-than-truckload common freight carriers.